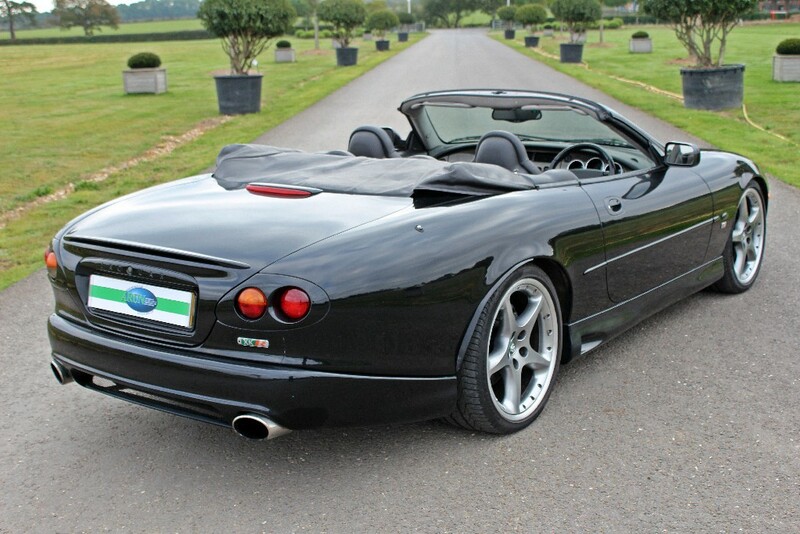 First registered February 2003 (52 Reg). 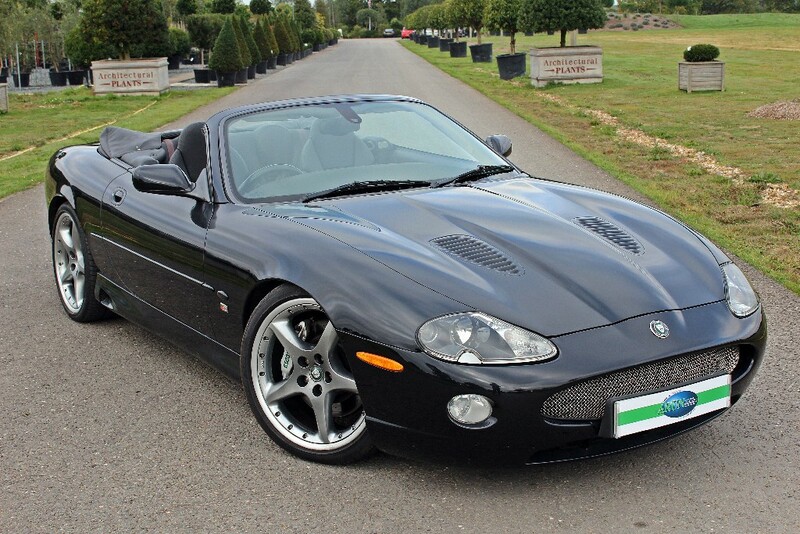 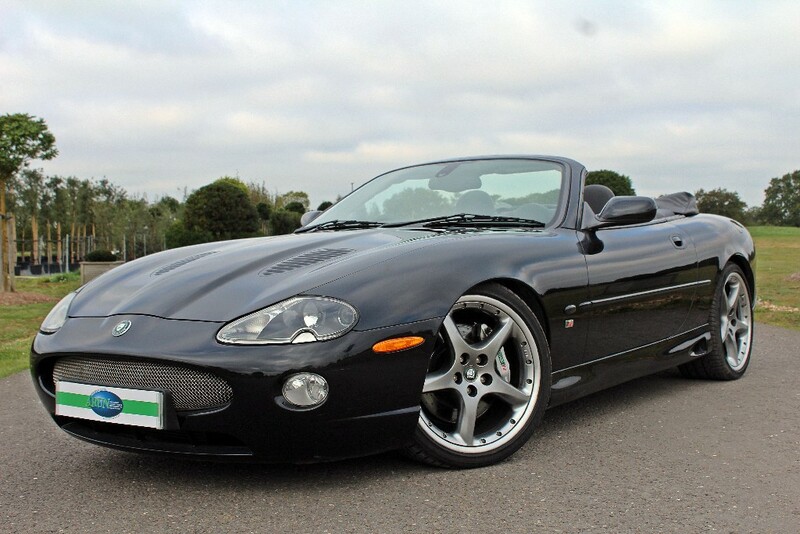 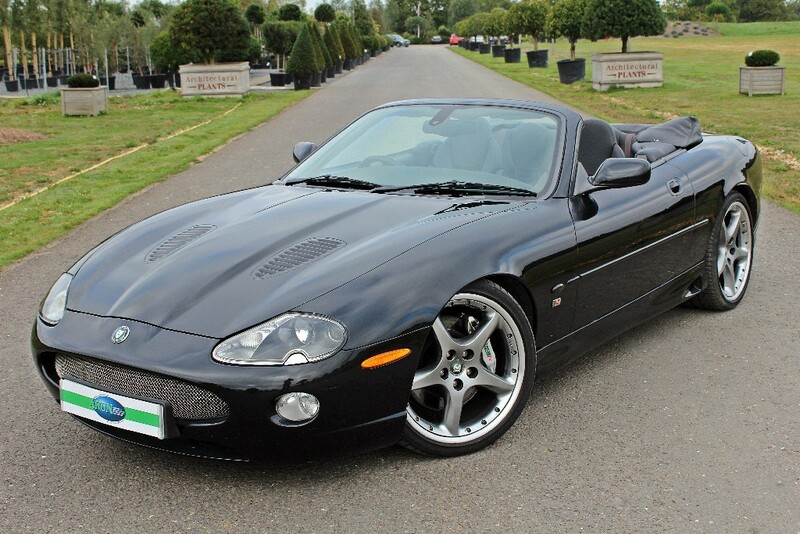 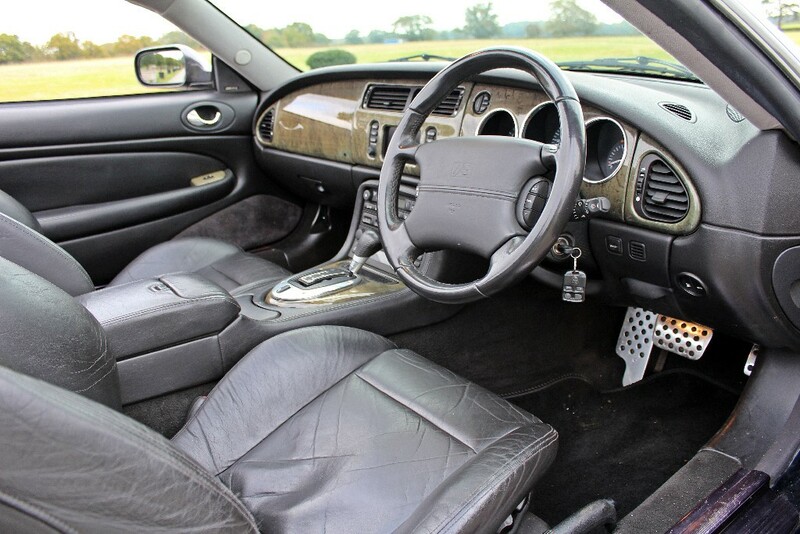 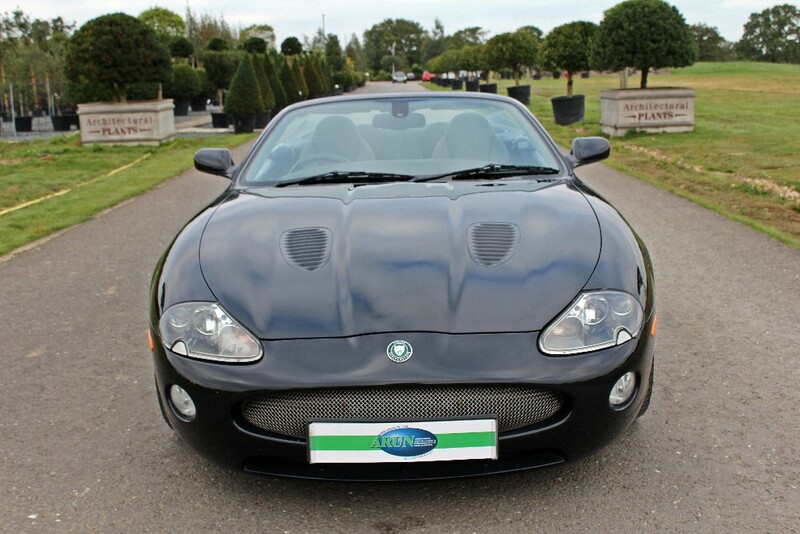 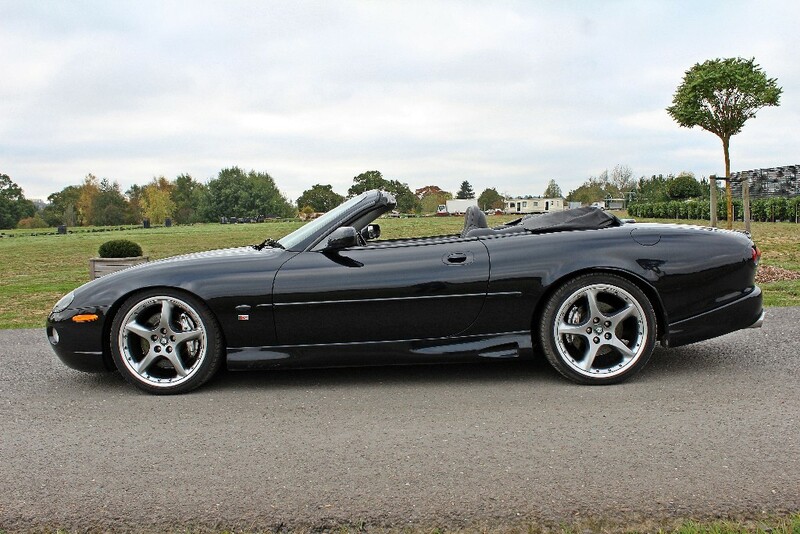 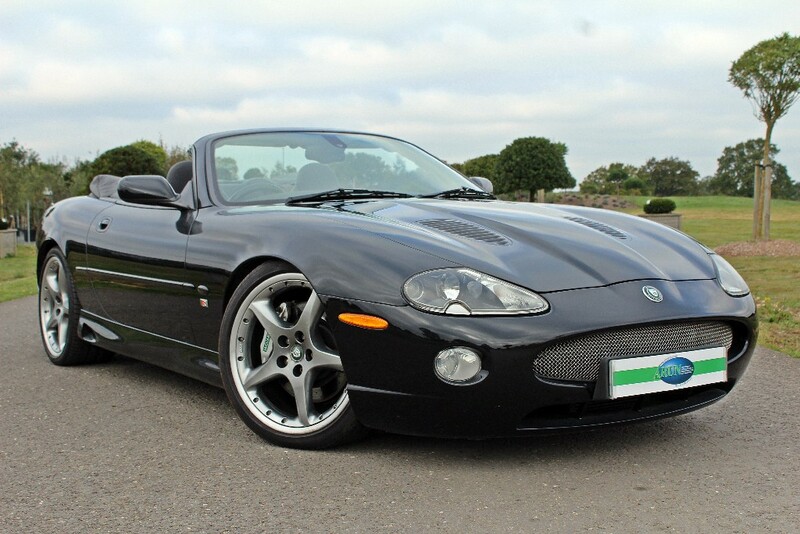 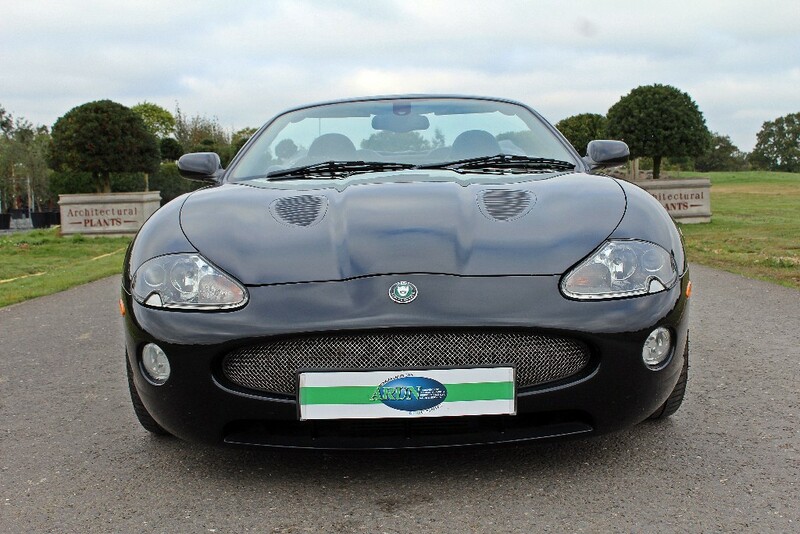 This Jaguar XKR has the benefit of the improved 4.2 Litre engine that was made available for the 2003 Model Year which was launched mid 2002. 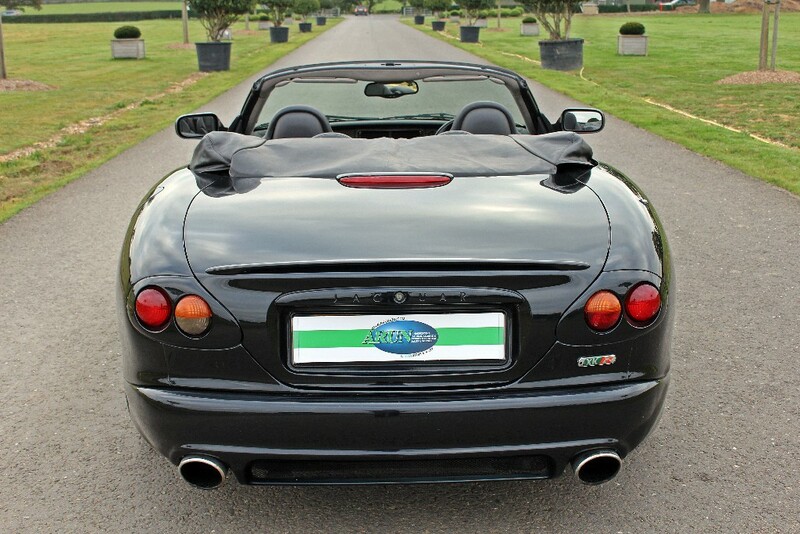 With just over 53,000 miles recorded this car is finished in Midnight Black with Warm Charcoal and Birds Eye Maple Veneers. 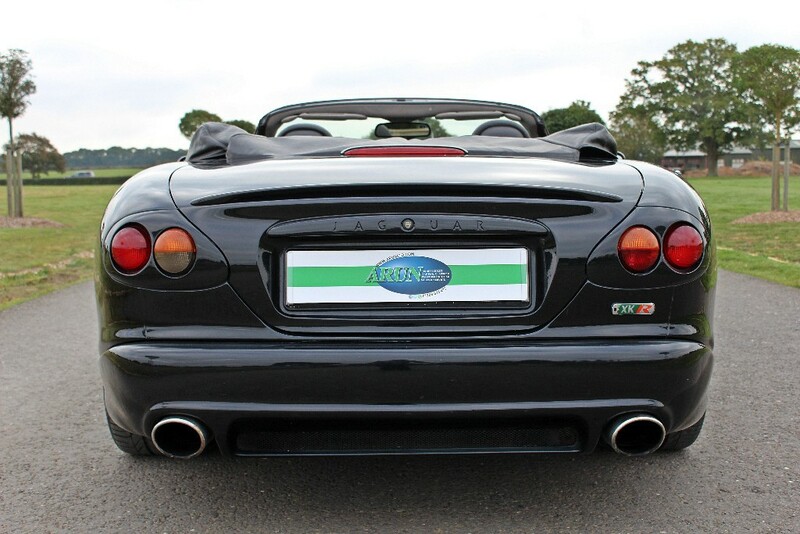 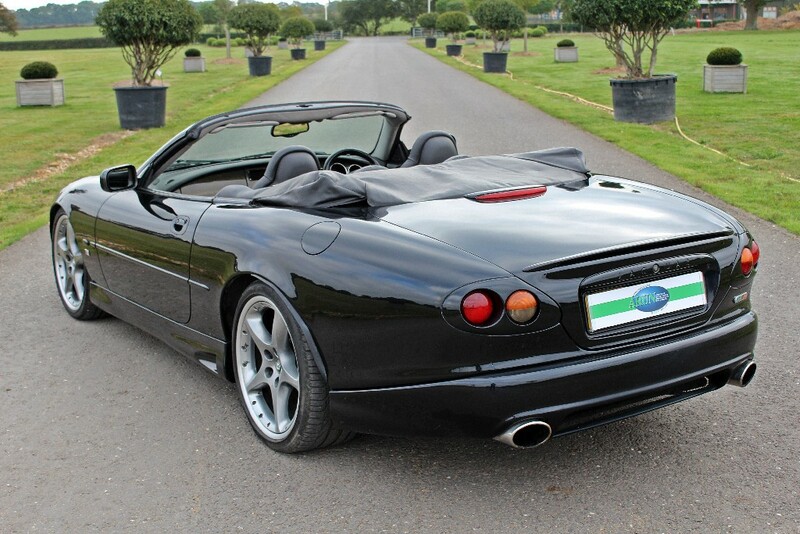 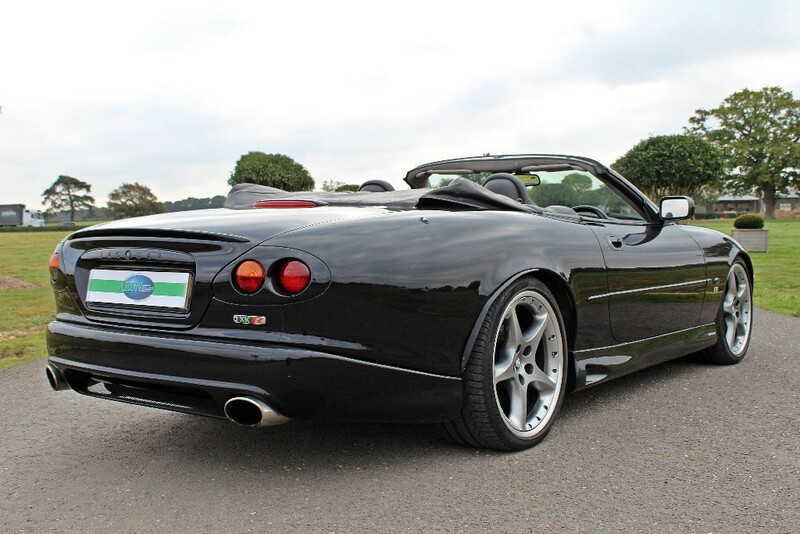 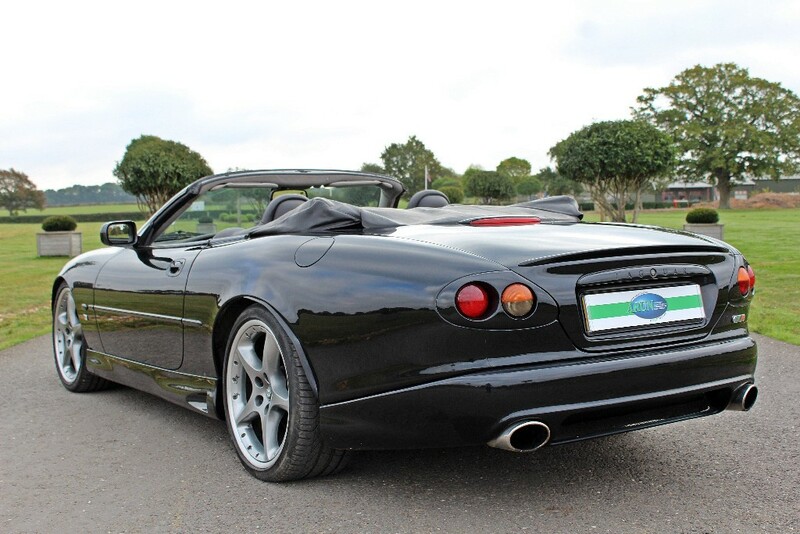 Upgrades to this car feature an Arden Body Kit which includes: Revised Nose Cone, Side Skirts, Deeper Rear Valance, Revised Tail Light Treatment and Big Bore Exhaust. 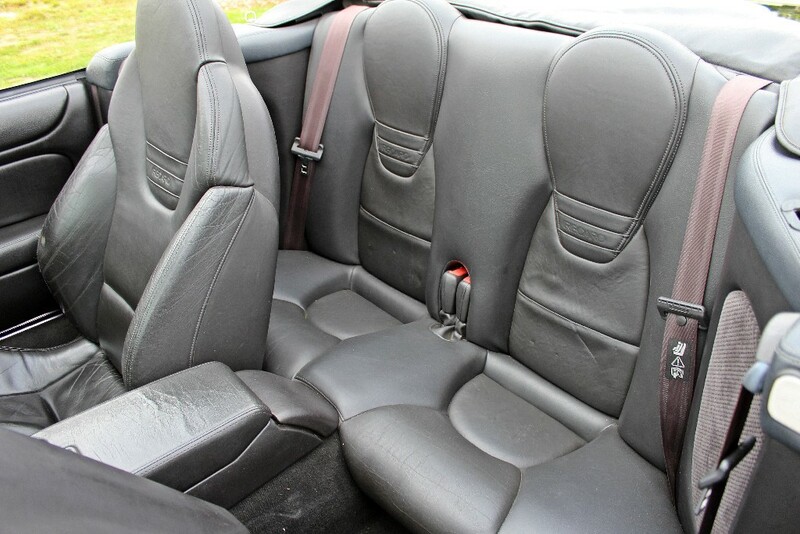 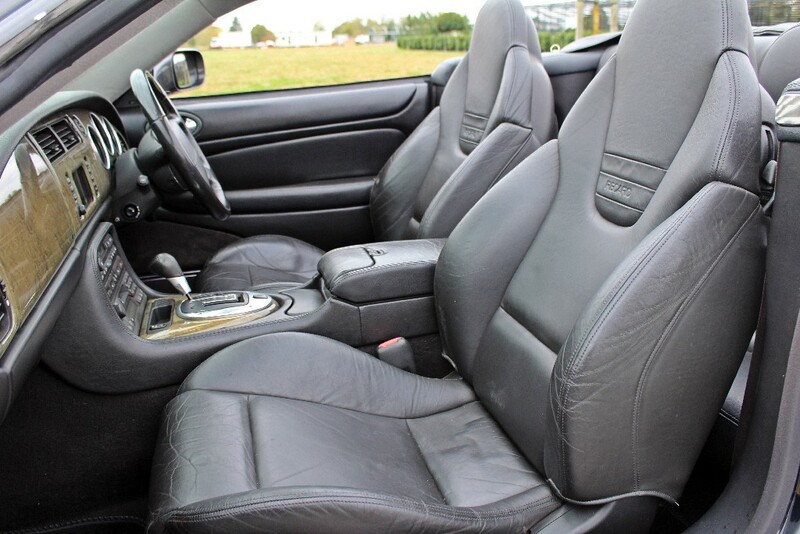 This highly specified car was ordered with: Interior Compass, Premium Sound System, Recaro Sport Seats, Air Particle Filter, Heated Front Windscreen, R Leather Steering Wheel, Aluminium Pedals and Instruments and Satellite Navigation. 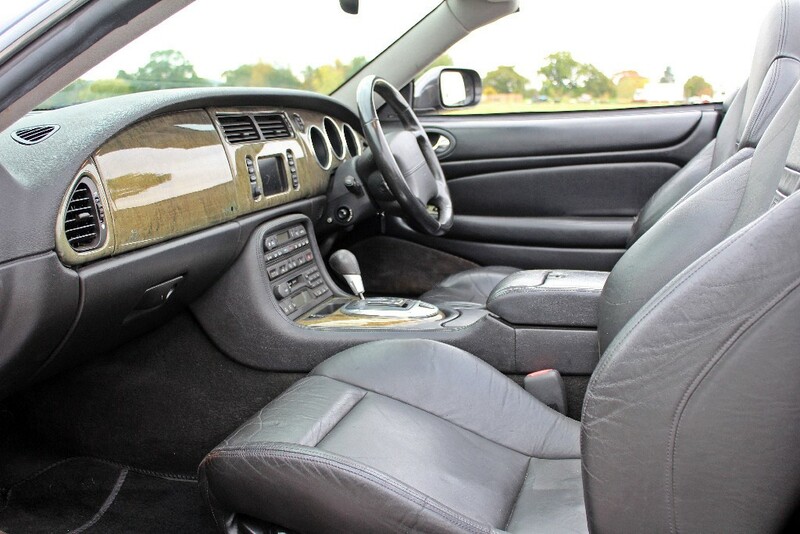 The standard car was also equipped with: Headlamp Powerwash, Xenon Headlights, Drivers and Front passenger Electrically Adjustable Heated Seats with Driver Memory, CATs Adaptive Damping, Cruise Control, CD Auto-changer and Power-fold Mirrors. 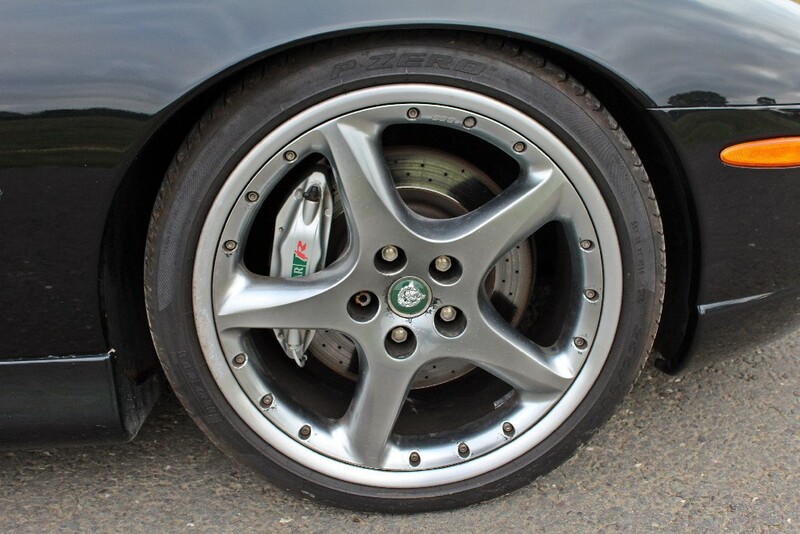 The Jaguar Service Record is present with the car and shows Main Dealer services recorded at: 7,000 miles; 18,000 miles; 25,000 miles; 32,200 miles; 36,250 miles; 41,200 miles; 43,800 miles. 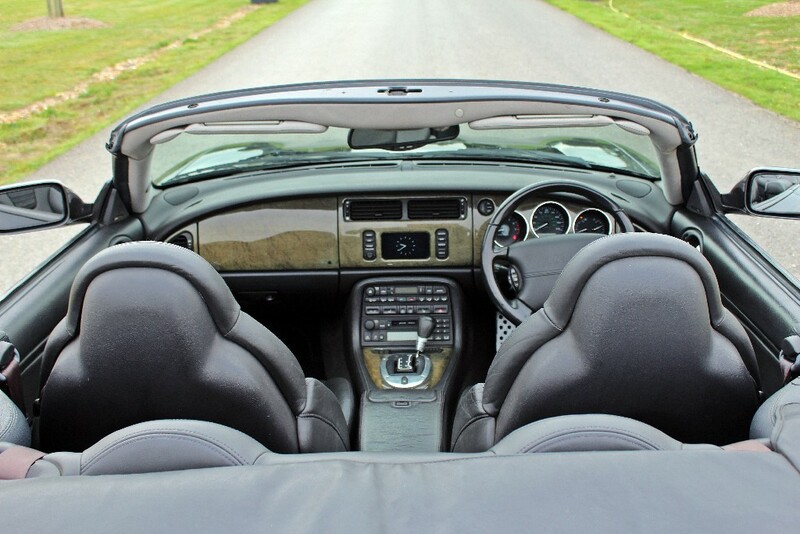 From 2014 to date there have only been a handful of miles added to the car but nonetheless services have been carried out every year by the same specialist garage.